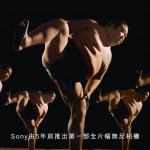 Japanese heritage culture “SUMO” experience tour. Visitors from overseas experience the “SUMO” in Asakusa and also have RIKISHI RYORI (sumo wrestler food), CHANKO-NABE afterward. It is held every Monday from 12:00. Copyright © お相撲さんドットコム. All Rights Reserved.